Albert-Eden residents are up for the biggest rates increases in the region this year. And the biggest increases within our area will be in the less well-off parts of Mt Albert, Waterview, Owairaka, Point Chevalier, Morningside and Sandringham. To minimise the pain for these people, we need (1) a pause in the reduction of the business/residential rates differential, (2) keeping the UAGC at $385, and (3) seeking from central government a cap of 10% for increase in any single year in any household’s rates. We know how important it is to deal with Auckland’s traffic problems in Albert-Eden! Many of us work in the inner city, and we know that it’s nearing gridlock. We know how clogged the arterial routes out of the inner city are, because most of them go through our area. The CRL will certainly help, but to deal with these issues in the long-term, funding for the “Advanced” network is essential. The funding for this project is included in the ten-year budget, but the funding for the bridge from the rail station concourse to the future plaza has been removed from the transport budget. Not only has the design of the concourse been future-proofed to accommodate the bridge, but the failure to build the bridge undermines the project. The bridge must be built and the funding for the whole town centre upgrade secured! We need (1) a quick decision on the best public transport solution for this key arterial, whether light rail or more buses, and (2) the street works planned to proceed without further delay. After a quarter of a century of neglect and deferred works, the Dominion Rd upgrade hangs in the balance. The uncertainty around the future of the road has discouraged investment and, along with other factors such as the St Lukes mall development, led to the decline of the thoroughfare as a commercial centre. The Board, along with iwi, the Dominion Rd Business Association and others spent many hours refining the design and planning for the upgrade. in the “Advanced” budget. The Local Board has consistently argued for some funding to start to tackle this problem over time. Train frequencies are on the rise. To avoid delays and a surge in drivers and pedestrians running the crossing, the “Advanced” transport budget must be adopted and more funding applied to grade separation. 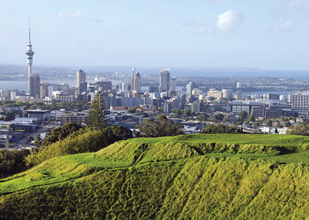 The Tūpuna Maunga o Tāmaki Makaurau Authority came into existence on 29 August 2014. It governs 14 tūpuna maunga under the Ngā Mana Whenua o Tāmaki Makaurau Collective Redress Act 2014, three of which are in the Local Board’s area. It has met a number of times and adopted a Draft Operational Plan, with a budget. If we are to begin properly conserving and developing the tūpuna maunga, it is essential that this budget be included in the LTP budget at the current level, if not increased. 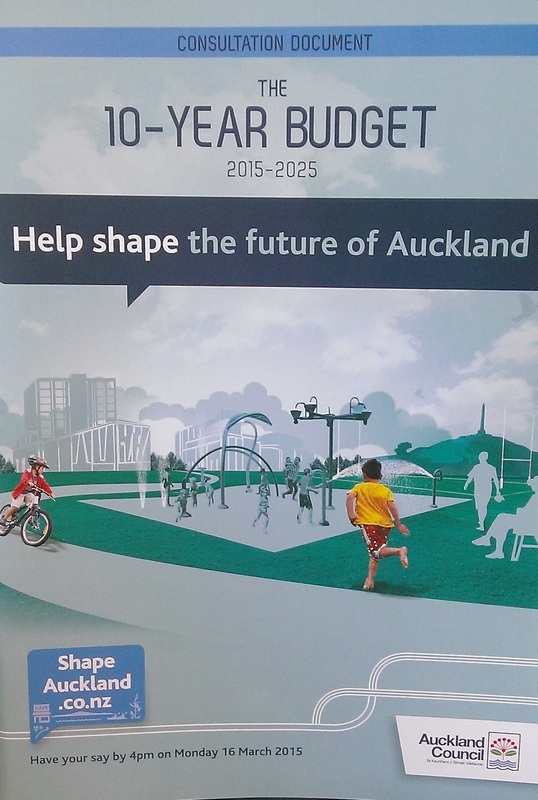 There is currently no funding allocated to develop further cycleways. 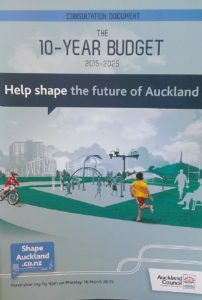 There is a large amount of funding available from central government’s Urban Cycleways Fund, but Council must budget matching funds. Question 7 is where you say whatever you like about the issues above and any others you want to. (2) If you give feedback on Facebook and Twitter using the correct tags this will count as a formal submission. 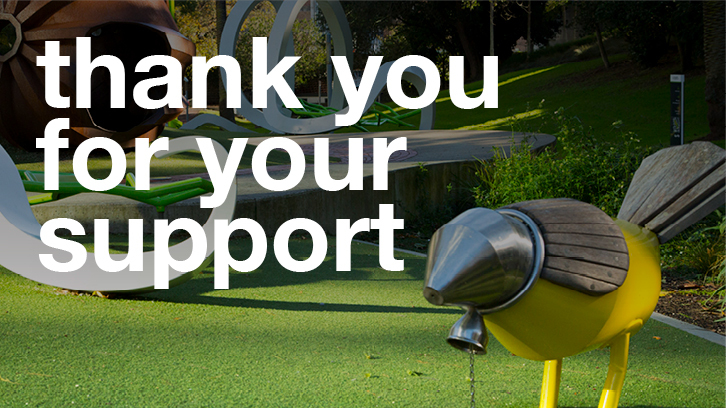 3) Print out the form submission Drop it into the Albert-Eden Local Board office at 135 Dominion Road or scan and send to longtermplan@aucklandcouncil.govt.nz.